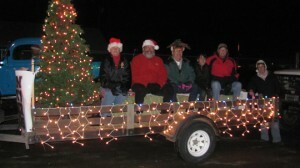 There were over 25 club members who participated in the La Grande Christmas Light Parade held on December 4. Some of our members brought their decorated classic cars to accompany the float while others carried the sign or walk along with the float and passed out candy to the eager youngsters who lined the street. Unfortunately not as many club members were able to attend the Elgin Light Parade held on December 6, but we still had a good turn out and a lot of fun. 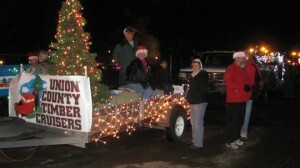 A huge thanks to Steve and Jean who designed and decorated the float.